Top 10 Luxurious Projects in Dubai. 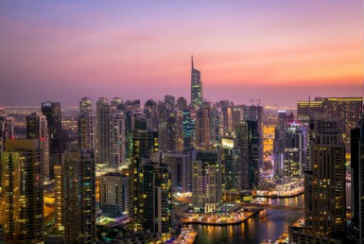 As Dubai gears up for the much-awaited World Expo 2020, the city’s skyline is set for rapid change, with ground-breaking luxury developments worth billions underway. Here are our top picks from amongst Dubai’s luxury projects. Nakheel’s Deira Islands will be home to residential buildings, hotels and service apartment complexes and cover an area of nine million square feet. The towers will surround Deira Mall, a 6.5 million-square-foot shopping, dining and leisure destination. Deira Islands will also house Deira Islands Night Souk, a traditional Arabic souk located right next to Deira Mall. Envisioned as a bustling new shopping and dining destination, the Souq will stretch 1.9 km along Deira Islands’ waterfront 5,300 shops and over 90 quayside cafés and restaurants and will be easily accessible by road and water. One of the world’s biggest urban transformations, the 545-million dollar Dubai Water Canal is a sight to behold, stretching for 3.2 km. and cutting through Sheikh Zayed Road. The canal has created an island in the middle of the city, giving it a vast waterfront and adding a 3km running track and 12km cycling path. It features a shopping centre, four hotels and 450 restaurants. Offering luxury housing for the savvy investor and renter, the canal itself will be six metres deep and bridges eight metres high to allow yachts and marine craft to pass through. A six million square metre mega city near Ras Al Khor Wildlife Sanctuary, Dubai Creek Harbour offers luxury waterfront living on the banks of the historic Dubai Creek. 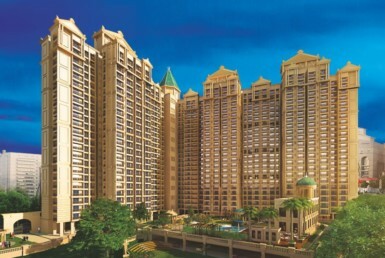 A multicultural city within the city, the development has captured the public imagination with its mix of world-class homes, spectacular cultural offerings, shopping avenues, amenities, offices, state-of-the-art sports facilities, lush sprawling gardens iconic design, making it one of the city’s most vibrant neighbourhoods. Effortlessly combining tradition and modernity, the centrepiece of Dubai Creek Harbour is The Dubai Creek Tower, a 928-metre tower set to stand 100m higher than Burj Khalifa. 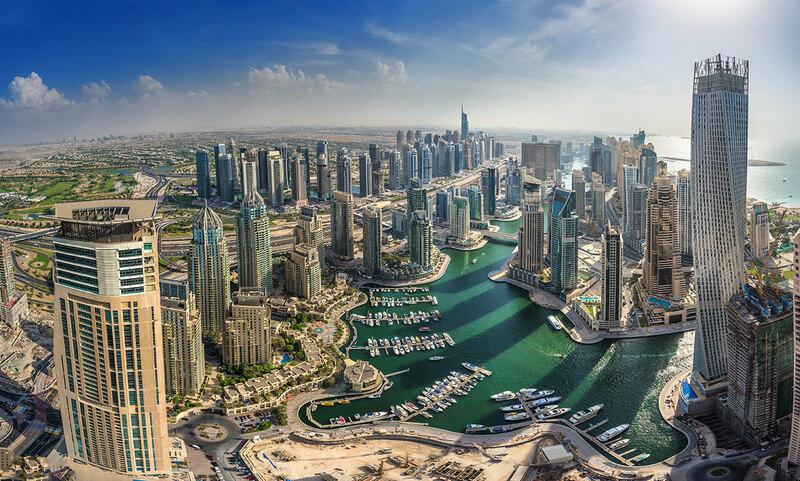 Dubai Holding’s mega project spread across 4 million sq. ft., Marsa Al Arab will occupy two islands on both sides of Burj Al Arab alongside a 2.2 km. beach façade. One island will host entertainment avenues such as a hotel, a water park, a unique Marine Park and an edutainment centre. A 1,700-seat theatre will house the world-famous theatrical show, Cirque du Soleil. The second island will comprise a luxury resort and luxury villas, a yacht club and a boutique hotel. Marsa Al Arab will also feature a convention centre with a hotel, equipped to host mega conferences and festivals. The $816 million Jewel of the Creek project will consist of a waterfront complex, apartment and office towers, luxury hotels, recreation and convention centres, a marina and retail offerings. Covering 123,955 sq. m. between Al Maktoum bridge and Floating Bridge, the main entrance will manifest a via a 9-metre wide tunnel. A futuristic architectural masterpiece enhancing the Dubai skyline, Jewel of the Creek is a majestic urban development on the shores of the Dubai Creek. Suspended over Dubai Creek with golden walkways and towers designed to resemble genie lamps that will shimmer golden in the sunlight, Aladdin City, inspired by Middle Eastern folk tales of Aladdin and Sinbad, will feature three towers linked by air-conditioned bridges with a moving floor. The outlandish project will also include towers of 34, 26 and 25 storeys, commercial and hotel areas and parking spaces for 900 cars and encompass 4,000 acres in total. Experience some of the world’s latest and craziest inventions. The Museum of the Future project is expected to cost over $200 million and will be located near Dubai’s financial district, just minutes away from Burj Khalifa, will showcase innovations – complete with dramatic soundtracks and videos with robots engaging with guests as drones fly overhead. Anticipated to be an incubator for ideas and a driver of innovation, the architectural wonder will be built in part using 3D printing technologies. Spread across 1,110 acres, the luxury 10 billion dollar Mohammed Bin Rashid Al Maktoum (MBR) City – District One project will be located within minutes of Burj Khalifa and Dubai Mall.District One will have hectares of crystal lagoons and water features, alongside tennis, football, basketball, rugby, equestrian, retail and entertainment offerings in close proximity. The project will also house thousands of luxury villas inspired by Arabic, Mediterranean and Contemporary styles. In due course, District One is anticipated to include the world’s largest shopping mall, a family centre for leisure and entertainment set up in collaboration with Universal Studios and a public park larger than Hyde Park. An 8-billion man-made mixed use island located off the coast of Jumeirah Beach Residence, Bluewaters Island comprises low-rise residences adjacent to a plaza dominated by Ain Dubai, the world’s largest observation wheel. Like the London Eye, it will offer a fabulous view of the city, with 48 pods and a total capacity of 1,500 guests. The project is shaping up well. In time, it is expected to be home to a Madame Tussauds wax museum, as well as over 500 waterfront homes, shops and hotels. Imagine a shopping complex four times the size of Dubai Mall! The $6.8 billion Mall of the World is expected to cover 48 million sq. ft., house the world’s largest indoor theme park, a glass dome that will open during the winter months, around 100 hotels, a wellness zone, serviced apartment towers and climate-controlled promenades. Expected to welcome around 180 million visitors annually, Mall of the World will be a one-of-a-kind destination. We would like to specially mention the 3 billion dollar Habtoor City, the world’s biggest luxury residential, leisure and hospitality development, comprising luxury residential towers housing deluxe apartments, lofts and penthouses a French-inspired garden, a Las Vegas style aqua theatre and the world’s first Bentley café. Why are Indians investing in Dubai?